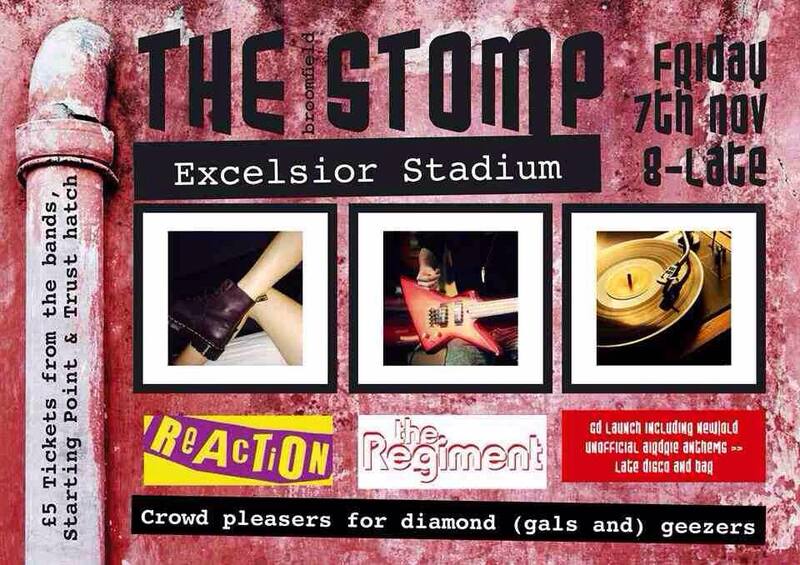 This is the official launch night of reactions brand spanking new cd which will have terrace Classics...The Broomfield Stomp and I can't help falling in love with you!! There will be CDs,merchandise and plenty of ml6 to be bought so get it booked off in work,in your diary,book a babysitter,Whatever it takes do not miss this!! Tickets from the bands,the trust hatch and from starting point...5 quid for 3 bands.... BARGAIN!! Prepare in advance for A Broomfield Stomp.......limited number of gig t shirts on sale at The Shop at Starting Point now. £14. All proceeds to Airdrie Supporters Trust (as do all profits from the evening). Red and White versions only.